Read more for information on the costs of attendance and financial aid opportunities. 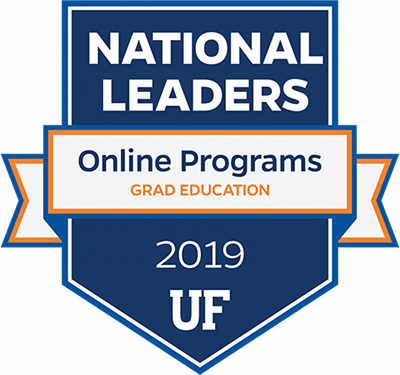 Read all the information and instructions on the UF Office of Admission graduate admissions webpages, by clicking on this link: UF Office of Admission: Graduate Admission. 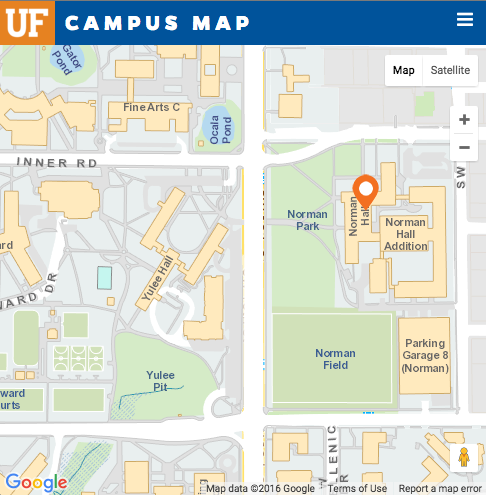 If you are an international student, also read all the information specific to international students available at UF Office of Admission: International Admission. Prepare a statement of purpose (letter of intent). The statement of purpose should explain, in a two-page essay, why you are interested in pursuing the M.A.E., M.Ed., Ph.D., or M.A.E./Ph.D. in Research and Evaluation Methodology at the University of Florida; what your career goals are; if you have defined research interests, what these research interests are; if there is a particular faculty member with whom you would like to work, who that faculty member is; and anything else that may strengthen your application. Fill out and submit your online application and application fee payment here: Online Application. In the online application, upload your statement of purpose, your resume or curriculum vitae, copies of test scores (GRE), transcripts in original language and English translation, and diploma/degree certificate from each university or college attended in original language and English translation. Be sure to add 3 REQUIRED contacts under the Recommendations tab. Send your official test scores (GRE, TOEFL), transcripts in original language and English translation, and diploma/degree certificate from each university or college attended in original language and English translation to the UF Office of Admission (P.O. Box 114000, 201 Criser Hall, Gainesville FL 32611-4000, USA). Financial support for graduate students in the Research and Evaluation Methodology (REM) program is available in the form of graduate research assistantships and teaching assistantships. All applicants who want to be considered for financial support should complete and submit the Application for Fellowship and Assistantship. After acceptance letters have been sent out, REM faculty will initiate the process of contacting applicants that may be suitable for each research or teaching assistantship opportunity. African American and Hispanic students applying to the REM Ph.D. program are encouraged to apply for McKnight Doctoral Fellowships. This fellowship provides an annual stipend, tuition, health insurance and fee waiver for a maximum of five years. Applicants to the REM program that have received admission notification are encouraged to apply to the Florida Board of Education (BOE) summer fellowship program, if they are US citizens. This is an outstanding opportunity for newly admitted graduate students to become acquainted with UF. Participants receive a stipend, a tuition waiver to enroll in four credit hours of Summer B Semester graduate coursework counting towards their degrees and non-credit preparatory courses in graduate level research and writing. More information about the BOE summer fellowship program as well as the application form can be found here. Applicants to the REM program are encouraged to schedule a campus visit, where they will have the opportunity to talk to REM faculty and students, and visit the REM facilities. All applicants interested in campus visitation should contact the REM program coordinator. Members of underrepresented minority groups should also apply to UF’s Campus Visitation Program. If you have any other questions, please contact Ms. Angela Rowe by e-mail or by phone at 352-273-4333. Good luck! The University of Florida and the Research and Evaluation Methodology Program looks forward to receiving your application soon!